Over the past several months, ISIS’ “caliphate” has started to crumble. Local forces and a US-led coalition have been beating the militants back in Iraq and Syria, where its core territory lies. And it’s close to losing its stronghold in Libya, where ISIS was thought to be building a “back-up capital” in case its de-facto capital in Syria falls. But none of that has mattered this week from a messaging standpoint. ISIS (also known as the Islamic State, ISIL, or Daesh) has dominated the news not because it is losing in the Middle East, but because one of its apparent sympathizers in the US carried out an attack on American soil. The attack on a LGBTQ nightclub in Orlando last weekend exposes the double-edged sword of ISIS’ strategy. The group has been successful not only at seizing territory in the Middle East, but also at motivating supporters in the West to kill in its name. And the US and other Western countries are struggling to figure out how to stop ISIS from influencing, and even directing, attacks abroad. So far, no evidence has emerged to indicate that the Orlando shooter, 29-year-old Omar Mateen, had any direct contact with ISIS leadership. But he pledged allegiance to the group while he was carrying out the attack. ISIS claimed responsibility through its propaganda channels, ensuring that the public perceives Mateen as an ISIS terrorist. “This is an opportunity for IS to appear omnipresent, appear like it has tentacles that stretch deep into the heart of ‘the crusader enemy,’ as IS refers to it,” Charlie Winter, an expert on jihadist propaganda and a senior research associate at Georgia State University’s Transcultural Conflict and Violence Initiative, told Business Insider. ISIS has spread its ideology across the world through its savvy use of the internet. No other terror group before it has been able to create such an effective propaganda operation. And US leaders still haven’t been able to counter ISIS’ messaging as effectively as ISIS is able to disseminate it. “These so-called lone wolves, the ones who operate as a result of the incitement, encouragement, and exhortations of these terrorist organisations, it is an exceptionally challenging issue for the intelligence community, security and law enforcement to deal with,” he said. 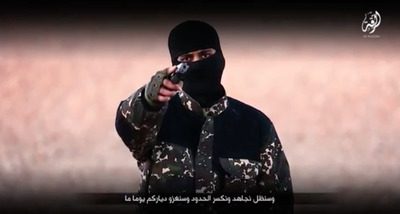 Though ISIS previously used its online operation to convince foreigners to travel to the “caliphate,” the name the group uses for its territory in the Middle East, ISIS is now focusing on motivating supporters to strike in their home countries. As it loses territory, ISIS leadership is sending the message that supporters can be more useful by killing civilians in the West in its name. Various Western government have launched counter-messaging efforts, such as the US State Department’s “Think Again, Turn Away” Twitter account and Britain’s “Open Your Eyes” campaign. But experts are sceptical about the effectiveness of these campaigns. One platform on which ISIS has been especially successful on is Twitter. The company has made an effort to shut down ISIS-affiliated accounts — but more keep popping up in their place. And ISIS sympathizers outnumber the government workers tasked with countering their message. Brennan admitted that the US has fallen short in its efforts to stop the spread of ISIS’ ideology. It’s not yet clear how Mateen became an ISIS sympathizer, but he had a known history of vocalizing support for radical groups. And even though he was on a government terror watch list, he managed to purchase a semi-automatic rifle. The FBI investigated Mateen in 2013 and 2014, but ultimately couldn’t come up with enough evidence to arrest him. The FBI reportedly has thousands of similar investigations open at any given time. “If there are indeed 10,000 investigations open, there is arguably a larger number of people that the US knows are radical but don’t have enough evidence to open up an investigation on,” Lorenzo Vidino, director of the Program on Extremism at George Washington University, said on a conference call for the Foreign Policy Initiative this week. And it’s impossible for the FBI to monitor everyone, Vidino said. “Unfortunately, I’m disappointed, because I’m very hesitant to see what would be the solutions here,” Vidino said. ISIS isn’t relying on “lone wolves” alone to wreak havoc in the West. The group is also developing operatives to carry out attacks planned and directed by ISIS leaders themselves. And here, Western countries face another technological hurdle — being able to identify and monitor the electronic communications of these trained terrorists. Some politicians are questioning whether encrypted messaging apps, which can’t easily be penetrated by intelligence agencies, are too much of a danger to US national security. But giving law enforcement access to encrypted communications raises its own set of issues. Some argue that allowing the government to access encrypted communications could compromise the privacy and security of Americans without sufficiently limiting terrorists’ access to the technology, which is available from foreign companies as well as US companies. “US companies dominate the international market as far as encryption technologies that are available through these various apps,” he said at the hearing. He had noted earlier in the hearing that the “digital domain” is the “new frontier” in terms of threats on US national security. “I do not believe our legal frameworks as well as our organizational structures and our capabilities are yet at the point of being able to deal with the challenges in that digital domain that we need to have in the future,” Brennan said. But at this point, the government can only do so much to prevent terrorists from effectively using encryption to mask their communications. The government also faces far simpler roadblocks than encryption. After the terror attack last year in San Bernardino, California, which was also carried out by ISIS sympathizers, the FBI struggled to access information on the passcode-protected iPhone of one of the attackers. The FBI obtained a court order to force Apple to provide access to the phone’s data, but Apple refused to comply. The FBI eventually found its own way into the phone.